While the summer box office season was the worst on record since 2006, there were a few bright spots in the mix, one of which was Universal and Illumination's animated sequel Despicable Me 3. While the movie is likely close to winding down its box office run, it did manage to cross an important box office milestone, reaching the coveted $1 billion worldwide mark earlier today. It became just the third movie this year to cross the milestone, and just the first to do so after being released during the summer movie season, which is yet another indication of how weak this summer truly was. Deadline broke the news earlier today, with the Despicable Me sequel joining just Universal's The Fate of the Furious ($1.23 billion) and the year's top grossing movie domestically and worldwide, Beauty and the Beast ($1.26 billion). Despite having strong showings, even hits like Wonder Woman and Guardians of the Galaxy Vol. 2 couldn't top $1 billion at the box office during this difficult summer movie season. Here's what Illumination Founder and CEO Chris Meledandri had to say in a statement. "The enduring success of Despicable Me and Minions is a testament to the extraordinary talent of the team at Illumination and Illumination Mac Guff combined with the world's greatest studio, Universal. Our passion for creating memorable experiences is on display in Despicable Me 3, and we thank fans for taking this chapter to a billion-dollar milestone." To date, Despicable Me 3, which introduces new characters like Gru's twin brother Dru, who are both voiced by Steve Carell, along with new villain Balthazar Bratt (Trey Parker), has taken in $259.05 million in North America, with $741.4 million overseas. It has also become the highest-grossing animated franchise, passing the Shrek franchise, and also the highest-grossing animated franchise internationally, passing the Ice Age series. Here's what Nick Carpou, President, Domestic Distribution, Universal Pictures, had to say in his statement. "This record-breaking franchise continues to appeal to a wide range of audiences with compelling stories and distinctive characters that are both sweet and subversive. When audiences see an Illumination title on the release schedule, they know they're in for a good time." 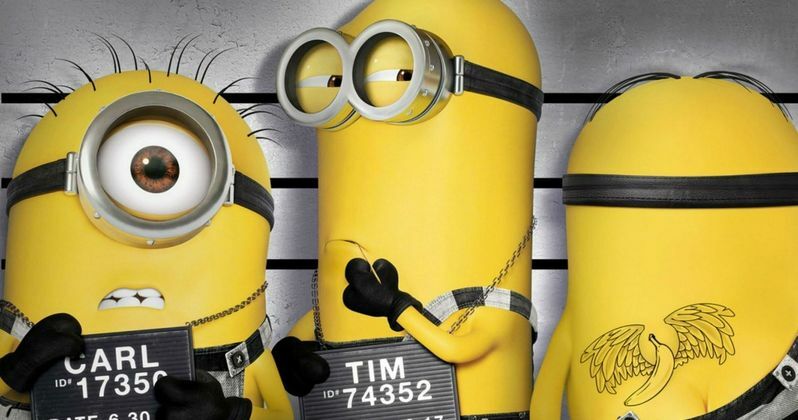 Illumination has released eight movies, Despicable Me, Hop, Dr. Seuss' The Lorax, Despicable Me 2, Minions, The Secret Life of Pets, Sing and Despicable Me 3 have grossed more than $5.7 billion worldwide. With just a few months left of the calendar year, it remains to be seen how many more movies will cross $1 billion. But after a dismal summer movie season, that final figure may be lower than normal.